The Wire Wizard® Small Steel Wire Straightener is designed for straightening or recasting steel wire sizes .035 to .062. The main body is constructed of aluminum, making our straighteners some of the lightest in the market. 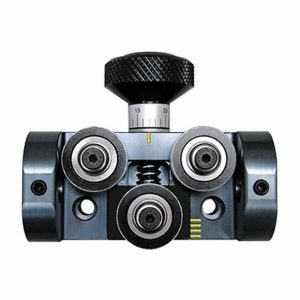 All models are equipped with a locating calibration on the face of the unit and a fine adjustment scale on the tension knob. This results in an extremely fast and accurate setting of wire cast. 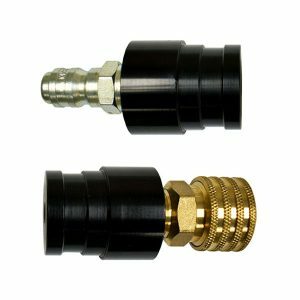 Our full range of fittings and inlet guides guarantee a trouble-free fit for any application or system. 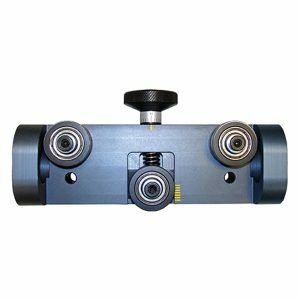 The Wire Wizard® Aluminum Wire Straightener is designed for straightening or recasting aluminum and other non-ferrous wire sizes .035 to .062. The main body is constructed of aluminum, making our straighteners some of the lightest in the market. 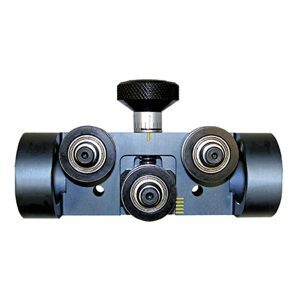 All models are equipped with a locating calibration on the face of the unit and a fine adjustment scale on the tension knob. This results in an extremely fast and accurate setting of wire cast. Our full range of fittings and inlet guides guarantee a trouble-free fit for any application or system. Threaded and non-threaded fittings are available for the WSS-100 and WSS-100-A Small Wire Straighteners. 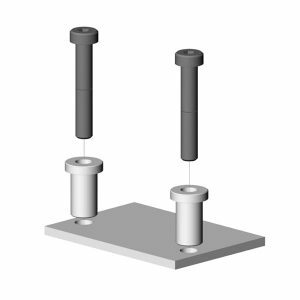 For the WSS-100-A model, use aluminum/non-ferrous wire setup shown for the A-1QD-5/32 or A-1LN-S-5/32 fittings. A-4L-H polymer liner and quick disconnects sold separately. 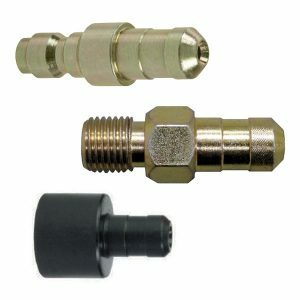 The inlet/outlet kit for the medium wire straightener includes one adapter with a male fitting and one with a quick disconnect. Fits standard Wire Wizard® quick disconnects (not compatible with HD style connectors). The inlet/outlet kit for the large wire straightener includes one adapter with a male fitting (A-16M-ST-HD) and one with a quick disconnect (A-4HD). Fits HD style Wire Wizard® quick disconnects. Insulated mounting kits are available for all models of Wire Wizard® Wire Straighteners. 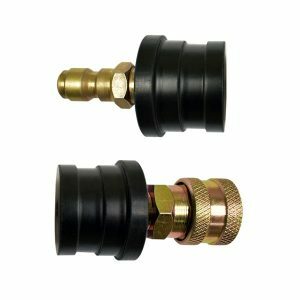 Each kit includes an insulator plate with two insulating sleeves and mounting bolts.